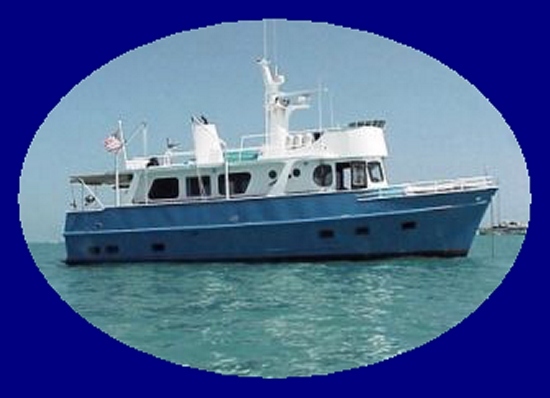 As full-time liveaboard boaters for 9 years. We knew that when we purchased something for our boat we wanted a minimum of 5 years of useful life out of the product. So...when we decided to start making boat canvas we found the best the market had to offer, namely StrataGlass, Stamoid yacht fabric, RiRi UV zippers, GoreTex "Tenara" Threads, Sunbrella acrylic canvas, Outdura Trio waterproof but breathable canvas, Awntex & Phifertex Plus marine mesh, Dot Fasteners, and more. As products come to our attention we try them on our boat or in our shop before we introduce them to our customers. As a small custom canvas shop, we enjoy listening to our customer's boating adventures and canvas needs. We approach those needs with an understanding of our customer's expectations. If you have an "idea" for a canvas project that would enhance your boating experience, please give us a call or drop us an email to discuss it. Some of the smallest projects turn out to be the most fun to make. Remember...if your current source doesn't use products from manufacturers who will guarantee their products for 5 years, ask them "WHY NOT?". Don't settle for less! We started our business in 2004 in Biloxi, Mississippi. In 2006, we relocated to Guntersville, Alabama after hurricane Katrina wiped out the shop. Unfortunately the stress was too much and Mike died shortly after. I continued the business there until 2009 when I relocated to Austin/Lakeway to support my family.